The Child Development Associate (CDA) is a national credential issued by the Council for Professional Recognition in Washington D.C. This credential is for providers of child care, who work with children from birth to age five. More than 370,000 CDA credentials have been awarded to date, with approximately 18,000 early childhood professionals becoming new CDAs annually. What Does “CDA” Signify? A CDA is an individual who has demonstrated competence in working with children and their families. They have completed 120 hours of formal training, been observed in their classroom, and have passed oral and written exams. It is available to those who work with infants, toddlers or preschoolers in child care centers, nursery schools, and family child care programs. 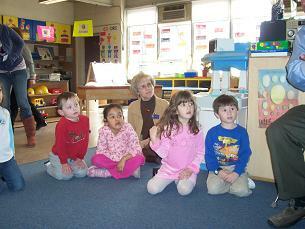 Online CDA Child Care Resources of Rockland currently offers an online CDA course. Please contact Ellen Mitchell with any questions or for more information at (877) 425-0009 x456 or email ellenm@rocklandchildcare.org for more information. Already completed a CDA course online? Need an advisor to complete the process? For assistance, please contact Ellen Mitchell, CDA Coordinator, at (877) 425-0009 x 456 or email ellenm@rocklandchildcare.org. For more information about CDA - please download the brochure.